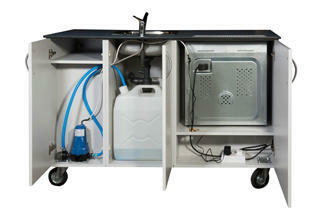 A versatile mobile Food Technology Bench which allows the teaching of Food Technology to be performed in an ordinary classroom. 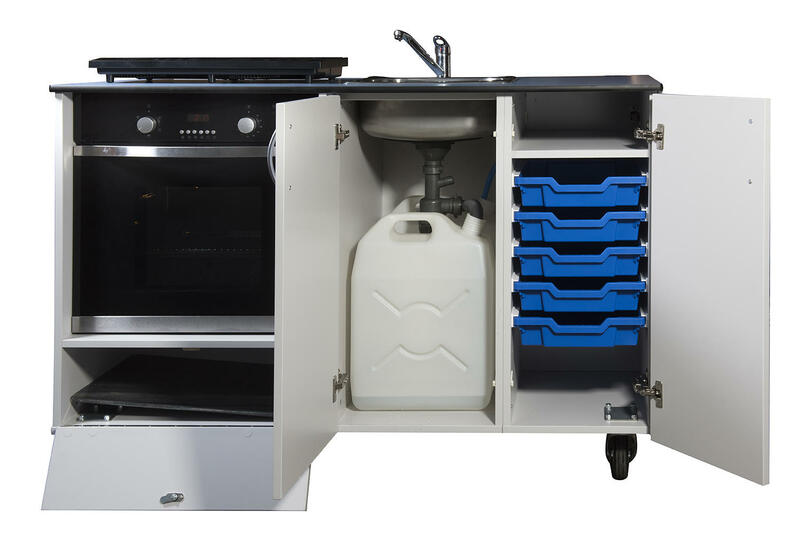 The unit comes complete with running water, clean and waste water tanks, a full sized cooker/grill, a twin hob induction cooker, a silicone pastry mat and rolling pin, 5 standard Gratnells trays and additional storage. 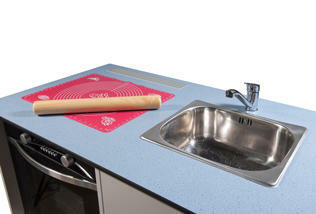 Requires 2 x Mains outlet – 1 for the cooker/water and 1 for the induction hob. 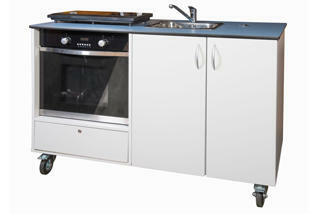 The unit is sized to easily fit through standard doorways and is fitted with wheels (two lockable) for ease of use.